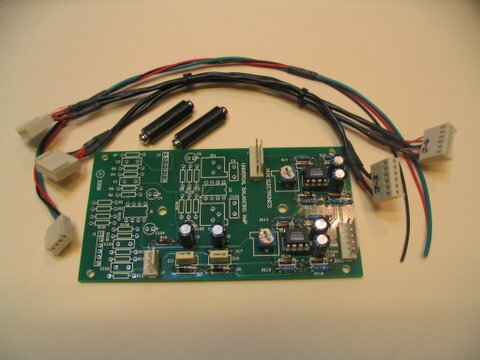 All products are built to order, Hux Electronics does not produce product in mass (except to order). This page is intended to show the sorts of things that can be or have been custom made. 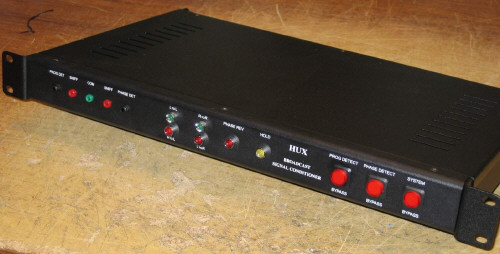 Hux Broadcast Signal Conditioner : automatically corrects channel phase reversal and drop out (no longer made). 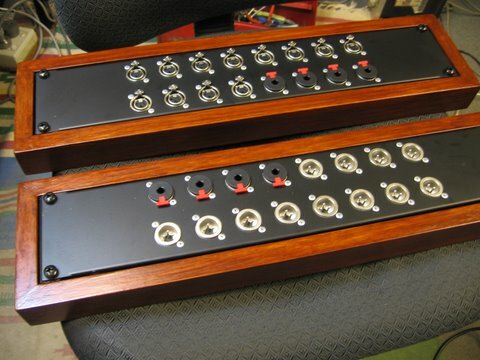 Custom products include but are not restricted to the following : custom microphone pre-amplifiers, balancing and unbalancing amplifiers, distribution amplifiers, headphone amplifiers, transformer coupled audio isolation boxes, specialist talkback systems, acoustic noise monitor/mute systems, custom power supplies, unusual switch boxes, etc. 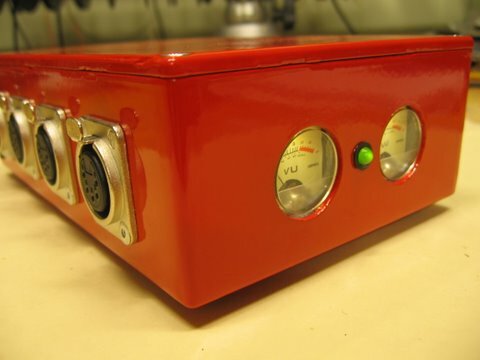 Hux Equator : prototype valve line level pre amplifier (with real HT power supply) with interactive passive EQ. 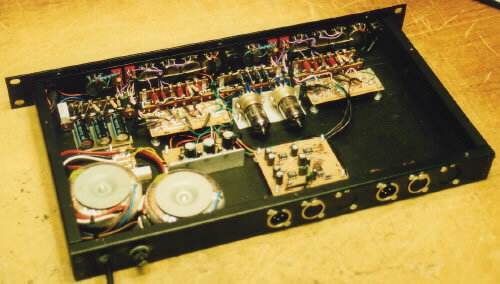 The pre amp you use when you want character and lots of it. 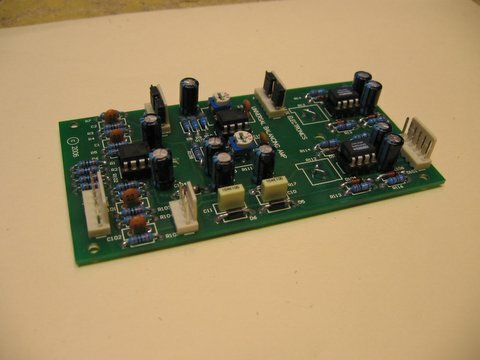 Klark Teknik DN360 balanced output modification, uses the Hux Universal Balancing Amplifier PCB as a building block.